Hundreds of people have commented on the video, some trying to guess what kind of snake it is, while others question whether it's real. You’re never going to look at trees in Texas’ Hill Country the same way. Dillan Schnerr definitely won’t. This weekend, he was headed to his bow stand on his family’s ranch in Fredericksburg when he said he saw a snake lying on a tree limb. 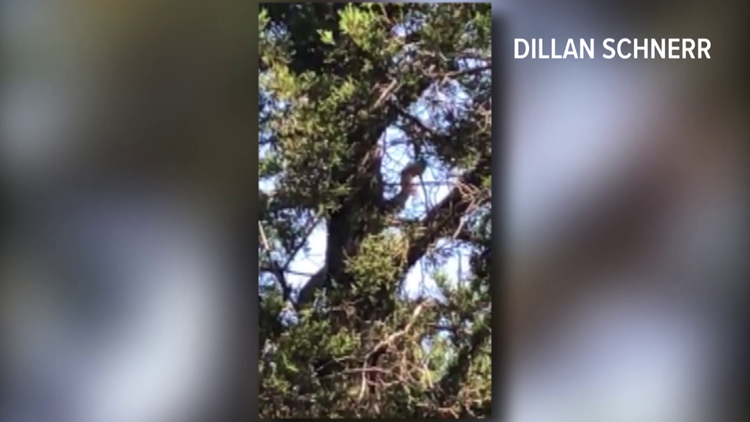 The snake started climbing the tree, which Schnerr captured in a now-viral video he posted on Facebook. “I had no idea it was that big!” he said. Hundreds of people have commented on the video, some trying to guess what kind of snake it is, while others question whether it’s real.